The few households that continue coppersmithing in An Hoi Village in HCM City have been working hard to preserve their traditions. 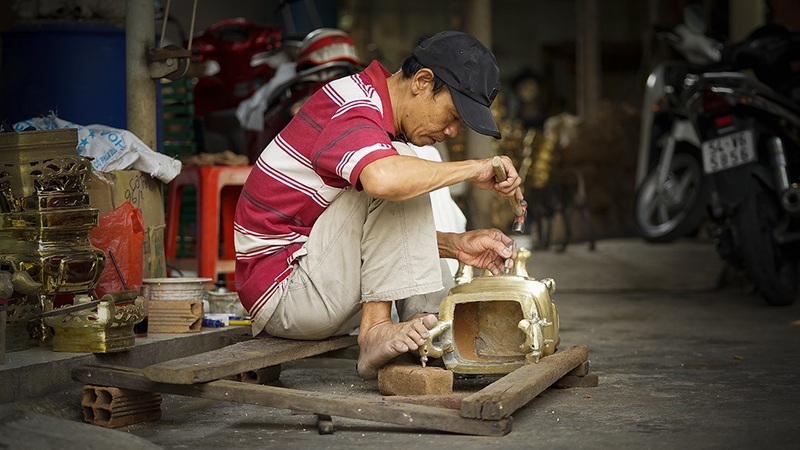 An Hoi Village is well-known for their brass incense burners and is the only coppersmithing village left in the city. 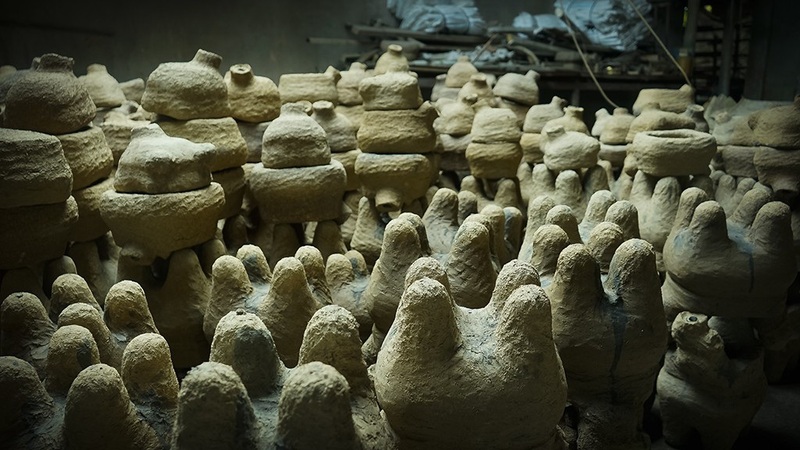 The tradition was started by artisan Tran Van Kinh. 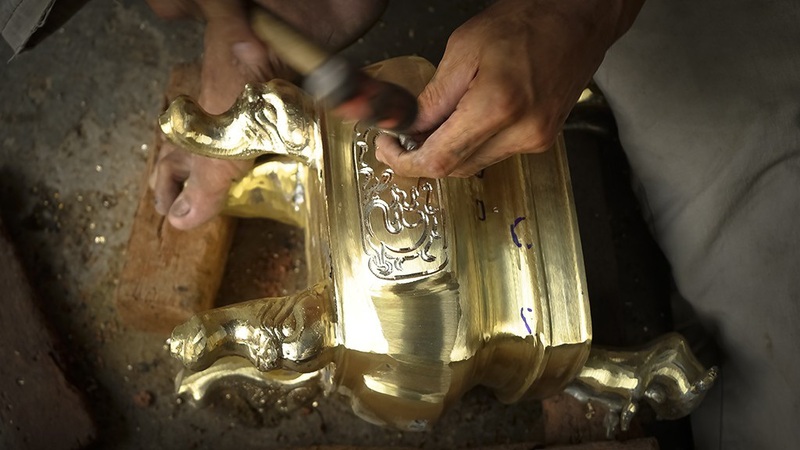 Kinh helped launched the coppersmith business in An Hoi with 50 workshops. “Before 1975, the village had hundreds of workers. As Tet neared, the sounds of from the workshops could be heard everywhere and our products were exported to Myanmar, Laos and Cambodia,” said Hai Thang, one of Kinh’s students. However, young people nowadays prefer other work over the hard and dirty labour as a coppersmith. 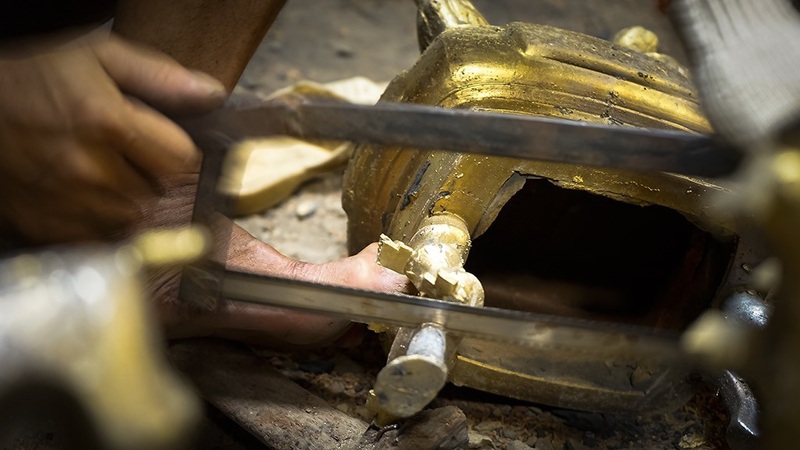 Even though there are only five workshops left in An Hoi, the quality of their product is still highly appreciated and each stage of the process requires great patience and skills of the craftsmen. The workshops went into full gear about two months before Tet Holiday. 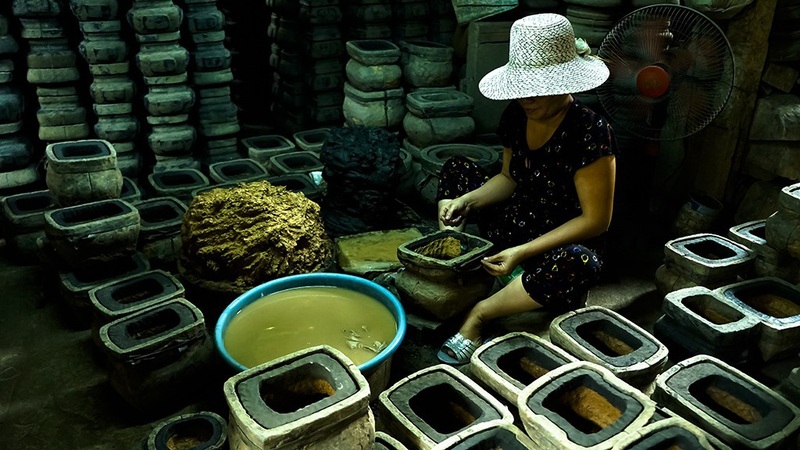 Many customers from Tien Giang, Vinh Long and Dong Nai provinces still come to An Hoi to order incense burners, despite higher prices.